In Category romance, Historical romance, Other, Reviews, Romance, SFF & horror, Young adult fiction. This month’s Mixed Bag features wildly different stories by Aussie authors, which have left me with…well, mixed reactions. Micah Williams is a compulsive liar, and Liar is Michah’s attempt ‘to tell you my story…No lies, no omissions. That’s my promise.’ Zach, Micah’s friend, has gone missing and Micah’s story is a non-linear narration of events leading up to and following from Zach’s disappearance, interspersed with her family history. You may have heard of this book due to the US cover controversy (a non-issue for Aussie readers because we got a different cover), but it’s just as likely you’ve heard of it from the many great reviews it’s received. The praise is well deserved. Larbalestier has created an original and compelling if notoriously unreliable narrator in Micah—something the story depends on for its success. If you know me at all, you know I almost always peek at a book’s ending. I have no problem with spoilers—in fact, I usually encourage spoiling! But. This is one of those rare books where you don’t want to peek at the ending. It pains me to say it but reading the ending will almost certainly change your response to the story. The story depends so much on the reader sifting through Micah’s narrative and choosing when to trust her. It’s ironic, then, that my main problem lies with the ending. When I finished the book I should’ve read it all again to pick out things I missed the first time around, but I just felt like there was no point. I didn’t feel I’d gain any more satisfaction from rereading the book. Which made me a bit sad, to be honest. I do think the keeper status of this book will depend very much on how you feel about the last ten or so pages. Yay or nay? A fascinating and fantastical read that kept me in suspense until the very last word. You can read an excerpt via Allen & Unwin. Tammy Haynes meets one of her best friends’ brother Fletcher Stanton, and they embark on a no-strings affair because Fletcher isn’t willing to offer more. Apparently she falls pregnant by accident—or stupidity—but I’m not sure because I never got that far. I skimmed to the end and, yes, they end up happily together, which is something, I suppose. I’m not a fan of Emma Darcy—her style just doesn’t gel with me. I was therefore surprised to find myself not disliking this book intensely, and for a while it’s tolerable. But Tammy soon reveals herself to be a dishrag of the highest order, not to mention extremely rude, when she leaves a friend’s wedding—in which she’s a bridesmaid—early so she can get laid with the unattainable man. Fletcher is equally rude given that he invites himself to the wedding at the last minute and then suggests leaving without even saying goodbye to the bride. Even though she agrees to a casual relationship, it only takes a few pages for Tammy to start wanting more. Shortcut to angst. Gah. But the biggest WTF moment for me was when an Australian character says, ‘we’re all rooting for you.’ Twitter heard me scream in pain. Yay or nay? If you can get past page 100, you’ve done better than I have: DNF. 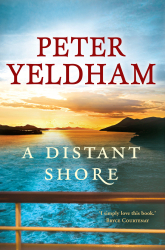 A Distant Shore recounts the story of Kate, who arrived in Sydney from Greece as a six-year old, and her life growing up in the 60s, through the Vietnam War, and her work later as a refugee advocate during the Howard years. Except I don’t actually know who this book is about. On one hand, there’s a first person narration by a different character; on the other hand, most of the book is told through Kate’s point of view. I skimmed through most of the story. The writing is often dull or didactic, and Kate’s internal narrative feels shallow. The moralising when it comes to the politics of the late 90s and early 00s lacks any sort of subtlety, which is a shame because Kate only actually becomes interesting to me when she struggles to help the disadvantaged without alienating the local community. Some aspects of the plot didn’t ring true to me—for example, there’s a bit where Kate’s daughter is travelling all over Europe yet they have no phone contact for months. Everyone I know who ever went backpacking knew to check in with family or friends regularly, even if it’s just a two-minute phone call. The parts of the story in first person flow a lot more easily. Unfortunately, there’s not all that much of it. The character who narrates the story isn’t developed well, either. Yay or nay? If you like Anna Jacobs, this book might work for you. Otherwise, although I felt that Kate’s story was mildly interesting I didn’t see why I ought to care about any of it. You can read an excerpt via Penguin. It’s the 1890s in Western Australia and 14-year old Sarette Maitland is on the brink of destitution—if not death—after being orphaned and then betrayed by her father’s business partner. Prospector John Kern stumbles upon her and takes her in as his ward, but after a few years sends her off to England to be properly educated. Sarette blossoms and finally meets John’s nephew and heir. Magnus Kern is expecting a toddler, so he’s a little surprised to find a rather lovely but somewhat cheeky miss in his care. There’s a bit more to the plot than that, but essentially the first quarter of the story deals with Sarette and John’s life in Western Australia, and the rest shows Sarette’s introduction to John’s friends and family right through to the complications of her relationship with Magnus. There’s also a suspense plot involving the man who betrayed Sarette, whom John later confronts. 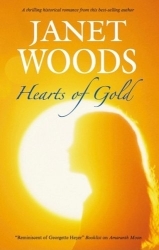 Hearts of Gold isn’t a terrible book, but the first part bored me. Woods’s writing is a little too old-fashioned for me—again, it has a bit of an Anna Jacobs feel—and often I felt the plot development didn’t properly mesh with the changes in the characters. The villain in the story, for example, has these weird moments of contrition, but then suddenly goes completely nuts again, and it felt very clunky and unnecessary. The switches in perspective aren’t always smooth, and the main characters can be irritating (the men especially so). I also noticed some typos, which is never a good thing. Yet although I skimmed parts of the book, I was caught up in Sarette’s story. The growth of her relationship with Magnus and her friendship with his friend and rival, Gerald, is sometimes unrealistic or inexplicable, but I could overlook these flaws and enjoy what Woods tries to do in the story. I just wish she had a more deft hand. My biggest problem with this book—with the caveat that I’m a dunce at history and might well be wrong—is that I didn’t believe the characters knew they were in Victorian England. Gerald and Magnus don’t seem to take proper care of Sarette’s reputation, and for me that’s a massive no-no. There’s nothing romantic about a man who exposes the heroine to that kind of social ruin. I mean, by this time Sarette is 18 years old and living in Magnus’s home without a chaperone, and among other things he takes her to a modiste who specialises in dressing men’s paramours! Yay or nay? If you like gentler romances with a more old-fashioned writing style, it’s worth slogging through the first 40 or so pages when the story really gets cracking—as long as you’re not a stickler for historical accuracy and you can stomach the hardback price tag. To ease my guilt over my pile of to-be-reviewed books, we’re trying out a new monthly feature, Mixed Bag. The plan is that Decadence, Wandergurl and I will take turns doing a round-up of books we’ve read (not necessarily in that month). Many will be a summary of likes and dislikes without going into as much detail as we normally would. We’d love to know what you think and if this is a feature worth keeping. Mixed bags will be posted on the first Saturday of each month. 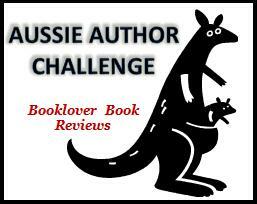 Tagged 2009 releases, australian authors, australian characters, emma darcy, janet woods, justine larbalestier, mixed bag, peter yeldham, victorian. But the biggest WTF moment for me was when an Australian character says, ‘we’re all rooting for you. Now there’s a mental image for us all! Sorry to hear that Peter Yeldham’s writing didn’t work for you. This was the second book I have read by him, and I really, really like his writing style. 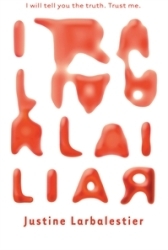 One of these days I will get to read Liar, and also Scott Westerfield or whatever his name is! Marg — The Yeldham book was the one I tweeted about where I felt like everyone loved it except for me. I highly recommend Liar. It’s such a different kind of story and very well executed.